LAS VEGAS — Former US Navy Seal Matt Bracken called the Las Vegas massacre preventable, considering the police and FBI trained on a similar scenario prior to the incident as reported first by the Baltimore Post-Examiner. Matt Bracken was born in Baltimore in 1957 and graduated from the University of Virginia in 1979 with a degree in Russian studies. 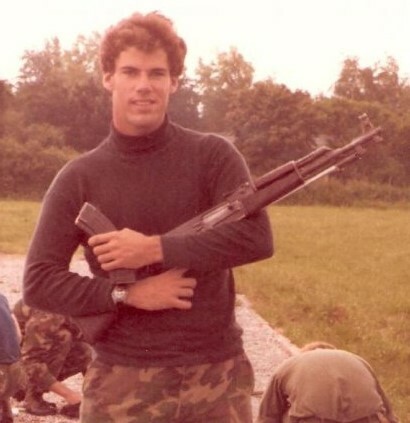 He was commissioned in the US Navy through the NROTC program at the UVA, and then graduated from Basic Underwater Demolition/SEAL training class 105 in Coronado, California. 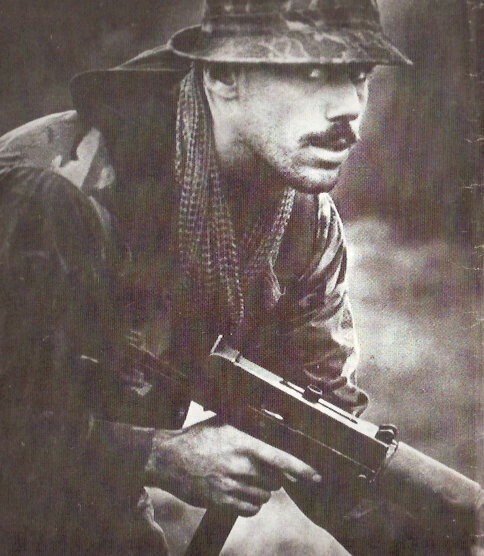 He served on east coast UDT/Seal teams, taking a Naval Special Warfare detachment to Beirut in 1983. 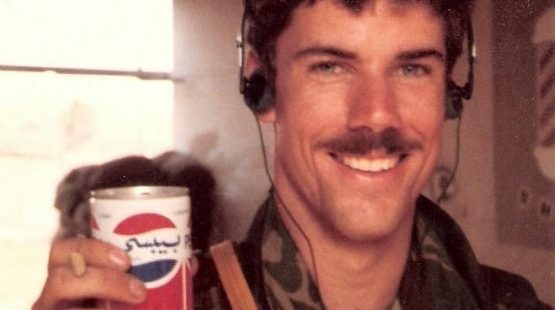 Bracken left active duty after Lebanon, upon completion of his obligated military service, but he remained in an active reserve status through the remainder of the 1980’s. In May 2017 a 29-year-old suspected prowler who fired shots at police during a six-hour standoff in California was killed by sniper fire from LAPD SWAT officers in a helicopter. It was the first time that LAPD SWAT officers opened fire from a helicopter hovering over a crime scene. In September 2015 a San Bernardino County Sheriff’s deputy stopped a suspected home invader who led the police on a high-speed chase when the deputy fired on the suspect from a helicopter. SBCSD said at the time that it was a rare occurrence to shoot from a helicopter, but deputies are trained to do so if the suspect poses a threat to public safety. In May 1984 an Alaska State Trooper killed a murder spree suspect by firing from a helicopter. In 1982 a San Bernardino County Sheriff’s deputy fired a pistol from a helicopter hovering 20 feet above the freeway, stopping a suspect who fired on officers with an automatic weapon in one hand while leading police on a chase through three counties. The deputy waited for a break in traffic before taking the shot. Atlanta police chief Erika Shield told the press in October 2017 that APD officers riding in helicopters are trained to shoot from the air and in response to the Las Vegas Massacre they would rely more heavily on the aerial force during large events. Wow. Thank you for your service sir. I very much appreciated at it. I found this post because someone posted about you today and I wanted to read about you. I had no idea you would actually be on here to thank. My father is a Lt. Col and flew the ch46 in Vietnam. He was shot down 3 times and earned the Purple Heart along the way. He stayed there and keep flying after each crash. Thanks to guys like you and him, I have had the pleasure of growing up in the greatest country on earth. Hopefully this finds you doing well. Best wishes for you and yours. Special ops snipers firing suppressed rifles from helos is nothing new. SEALs even sniped Iranian sailors laying mines in the Persian Gulf during “the tanker war” in the 1980s. Very quiet OH-6 “Little Birds” carried two snipers, one lying prone on each external bench, and they could get close enough to snipe enemy personnel without detection. My point is that helo-borne sniping is nothing new, it’s a well-known tactic that the military and police have used going back decades. It was inexcusable that the LVMPD had no counter-snipers standing by on the night of the concert massacre. The hotel was seconds by helicopter from the airport where a chopper with counter-snipers ready to go should have been on standby. The broken-out window walls used by Paddock would have been easily found by counter-snipers in the air or on the ground, if they had been ready, as they should have been. Paddock fired unimpeded for ten minutes, firing hundreds of rounds, which is totally unforgivable, considering that the FBI/HRT and LVMPD had trained for this exact scenario. My first novel (Enemies Foreign And Domestic) even begins with a sniper firing from long range into a packed stadium. The alleged sniper (actually a patsy) is killed by a SWAT sniper firing from a police helicopter. This novel was written in 2003, yet in 2017 the LVMPD was still taken totally off guard, and was unable to mount any kind of a response before Paddock stopped firing for his own reasons. He could have fired hundreds more rounds, killing even more concert goers. He was not stopped by the LVMPD. The LVMPD rates an F- for their bungled reaction to the entirely foreseeable concert sniper massacre. Incompetence in Vegas, criminal cowardice in Parkland, can there be a new way forward for law enforcement in America? In your novel EF&D, police would have had no way to find the sniper even if they’d been airborne at the time. Do you seriously propose snipers on spun-up choppers ready to hot launch every time there’s a large gathering that would be a tempting target for terrorism? There aren’t enough teams to cover all the Friday/Saturday football games. In the novel, the actual snipers call in a tip with the location of the patsy, who is killed according to their plan by the helo-borne SWAT sniper. I’m not suggesting that every single outdoor event be protected by a spun-up chopper with a sniper sitting aboard. But Las Vegas had specifically been warned of a major terror attack on the strip, and had even trained for this exact scenario with FBI/HRT. And the LVMPD are paying the SWAT team whether they are ready and standing by, or not. For this concert, they should have been ready to launch. At the very least, ground-based counter-snipers should have been ready. Are you suggesting the LVMPD/SWAT did all they could do? What are they paid for, week in and week out? Ten minutes of sustained firing on a crowd, and there was zero response by SWAT. Zero. A fully dressed SWAT team sitting in the lobby of the hotel, and a sniper aloft at the time of the first shot, would not have stopped 10 minutes of sustained fire without knowing exactly where and how many, and probably not even then. They knew 30 seconds after the first shot was fired that the gunfire was coming from the upper floors of the Mandalay Bay Hotel on the east side. That is confirmed by the police radio traffic that night. Also another officer on the ground saw the silhouette of the shooter in the window. Yes, he could of been stopped in that ten minute period had counter snipers been on standby in the vicinity. Every second he fired was more bodies on the ground. Many officers on the ground were yelling over the radio that they gunfire was coming from the Mandalay Bay! Are you effing joking, or high on drugs? Any IR scope or camera (carried by every SWAT team) would have revealed the two broken-out window walls, and the hot muzzle blasts, in under one minute.